低回転トルクと高回転域のパワーを両立させターボラグが小さいなどのツインスクロールターボの利点を最大限に生かすため、ハウジング内部まで排気管を完全に隔て排気干渉を低減させるツインスクロール構造を採用。エキゾーストハウジングには排気ガスを２系統で入れ、スクロールも２系統に分岐されたままの状態の排気ガスをタービンブレードへ送ります。 The twin scrill gas inlets of T380B are completely divided until inside of the exhaust housing. 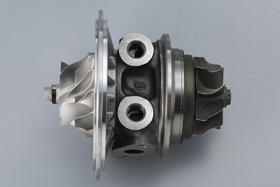 This prevents gas interference and utilizes the characteristics of twin scroll turbo such as minimal turbo lag and good balance of torque at low RPM range and power at high RPM range. 2 divided gas flow go into the turbo exhaust housing straight from the exhaust ports, and then the 2 divided turbo scroll leads the exhaust gas directly to the turbine blades. ターボの回転の立ち上がりに重要な低い回転域でのフィリクションを大きく低減し、過給レスポンスを飛躍的に高め抜群の耐久性を備えています。 The high precision ball-bearing lowers the friction at pre-spool and dramatically improves the response. This also contributes for its superior durability. （サクションホースやバキューム配管などは付属していません。別途ご用意ください。） Easy bolt-on installation, no modifications required. The short parts required for the installation, such as hose, gaskets and studs come with the kit. (Kit does not include suction hose or vacuum tube, prepare individually as necessary.) 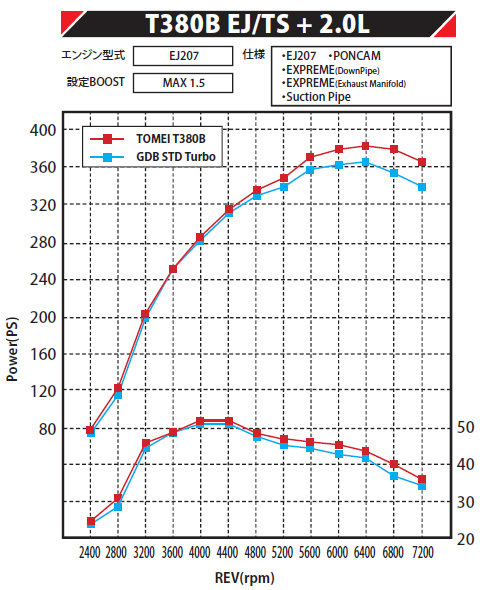 高過給時においても安定した過給圧が得られます。Remarkable stability under high boost. 実際の運転時においてもストレスや扱いにくさを感じさせないドライビングを可能にします。 Our target with the development was to make the pre-spool not too slow but not too fast, just like the stock turbo. It allows easy, stress-free driving even on the street. ノーマルでは6500回転付近から維持できなくなっていたブースト圧が、高回転域まで維持できます。 この特性は、この後進めていくチューニングに非常に有効に働きます。 The actuator has been especially designed for T380B to provides great stability even high RPM range, specifically around 6500RPM and higher where stock turbo suddenly loses the boost. 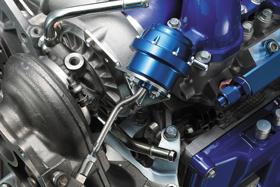 This allows to keep the high RPM while maintaining the performance. T380B-EJ T/S has been designed not only to make it fun on the street, but also fast on short circuit. 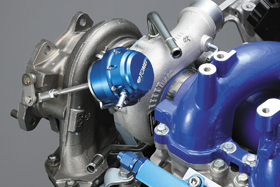 We valued fast pick-up from low to mid range the most rather than peak power at high RPM for this all new ball-bearing turbo, which takes advantage of the characteristics of the twin-scroll. Fast response, fast swelling torque, the smooth but wild and stimulation feeling unleashes the true character of EJ20. 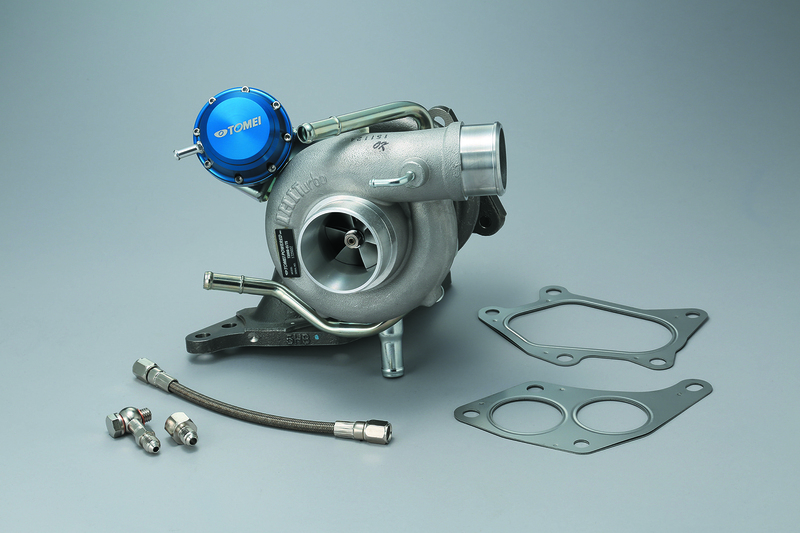 GDB/GRB/GVB/VAB 173101 ￥288,000 (Tax inc 311,040) Note: Turbo Suction Hose also needs to be replaced when install on GDB.